It's both an honor and a pleasure to be one of the 4 Latin artist (well in my case #latinegra artist) being featured at tonight's World OutGames Miami Cocktail Reception. 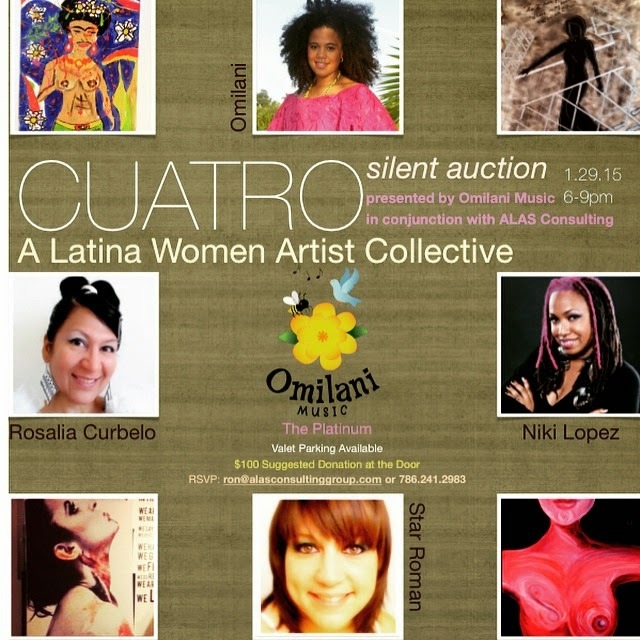 "CUATRO" is presented by Omilani Music in conjunction with ALAS Consulting. This cocktail reception is a fundraiser and the proceeds benefit the 2017 World OutGames Miami. This is a benefit, however there is no cover to attend. There will be a silent auction featuring art from various South Florida artists along with libations & light bites. The evening will include Emcee Vinna Rouge, live performances by Nina Kasper, Alexandre Rodriguez & the Erótic Strong Trio and music provided by DJ Maximus 3000.